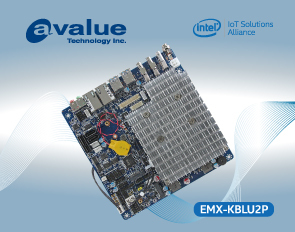 TAIPEI, TAIWAN, Apr 11th, 2019 – Avalue Technology Inc. (TAIEX: 3479-TW), a global industrial PC solution provider and an associate member of the Intel® Internet of Things Solutions Alliance, is unveiling EMX-KBLU2P, based on Intel® Core™ and Celeron® Processors. 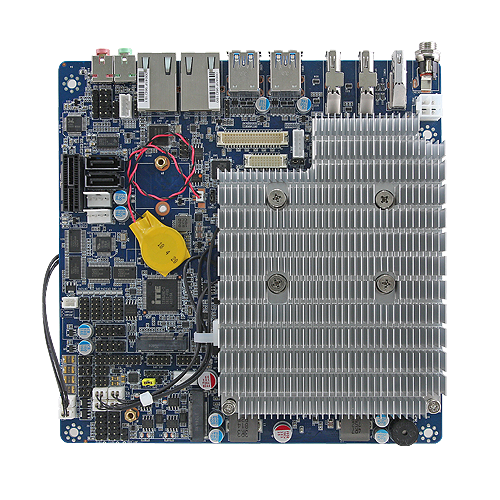 EMX-KBLU2P, the Thin Mini ITX Motherboard, supports Intel® 6/7th Generation Core™ i7/i5/i3 and Celeron® BGA Processors, offering three independent display—DP, HDMI, 2 dual-channel LVDS by 2 Chrontel CH7511 in the resolution of 1920*1080, ideal for all-in-one PC, POS, Digital Signage, and kiosk markets. Meanwhile, EMX-KBLU2P features extended temperature tolerance -20°C~+70°C (with heatsink, under 0.5 m/s air flow speed testing) and fanless design, which is suitable for industrial and outdoor applications under harsh operating conditions.